When Dr. and Mrs. Bernard Tyson moved to Pasadena, they opened an OB/GYN medical clinic to serve needy lower income patients. Their four children—three M.D.s and one vet—are all raising their own families in the area. 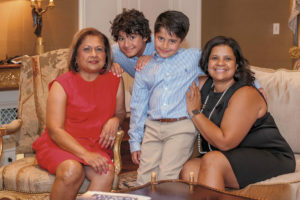 Motivated by her parents’ dedication to helping the less fortunate, daughter Michelle Tyson established the Tyson/Hagopian Endowment with the Pasadena Community Foundation, to provide unrestricted funds for PCF’s all-important local grant-making programs. This named endowment fund benefits Pasadena by supporting Pasadena Community Foundation’s local grant making.